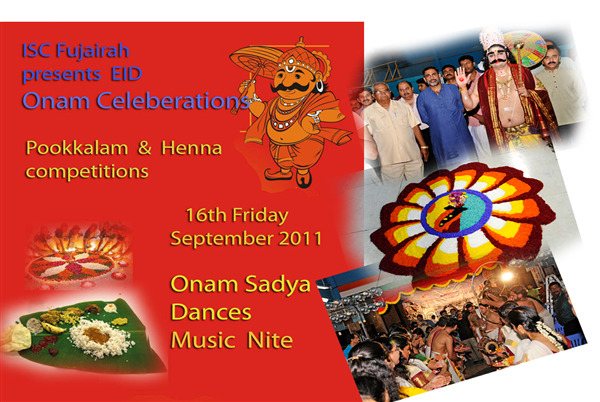 ISC Fujairah invites members,families & friends for Eid & Onam celebration on 16th Sep 2011. Cultural program at 7.30 pm. Please register your name for Onam Sady, Henna & Pookalma competition before 14th Sep 2011. Sadya Dhs.15/- per head.